How much is Jeff Corwin Worth? 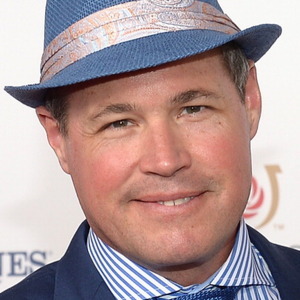 Jeff Corwin net worth: Jeff Corwin is an American conservationist and television personality who has a net worth of $3.5 million dollars. Jeff Corwin was born in Norwell, Massachusetts, and went on to earn degrees in Biology and Anthropology from the State University of Massachusetts – Bridgewater. From there, he earned a Masters in Wildlife and Fisheries Conservation from the University of Massachusetts – Amherst. He began his on-camera career in the mid-90s, beginning with leading an expedition for the documentary series, "The JASON Project". From there, he became the host of the series, "Going Wild with Jeff Corwin" on the Disney Channel. Since then, he has served as the host of a number of nature-related series, including "The Jeff Corwin Experience", "Giant Monsters", "Jeff Corwin Unleashed", "King of the Jungle", "Corwin's Quest", "Into America's West", "Into Alaska", "Future Earth: 100 Heartbeats", "Extreme Cuisine with Jeff Corwin", and "Ocean Mysteries with Jeff Corwin".